Mikoyan-Gurevich MiG-21 (Fishbed-C) F-2153 formerly of the Indonesian Air Force marked as red 64 of the Soviet Air Force. 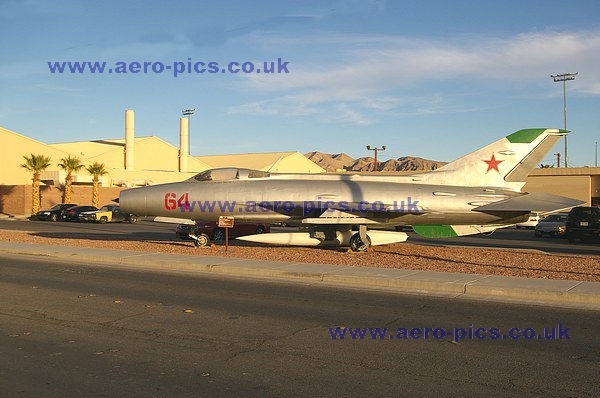 This photograph was taken at Nellis AFB, Nv. during Aviation Nation 2008.